Social media took the world by storm after the creation of Facebook. It continues to flourish as more companies pop up and differentiate methods of social media marketing. Restaurants, brands, hotels, entrepreneurs, big and small companies, etc. all benefit from the utilization of social media marketing. Companies have realized they have to speak to their customers on a personal level in order to maintain a loyal following. 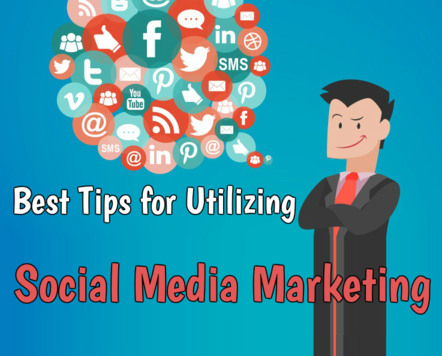 Here are some tips on how to effectively embrace social media marketing. Through the use of social media, your company becomes more personal and therefore, more relatable. People like to interact with people, not with detached, intimidating companies. Verily Magazine has personalized their company through their Facebook page. Not only do they post their articles on their Facebook page, but they also regularly post a quote with an inspirational image in the background. This puts a face to the name of the company. Before a Facebook user has even liked the Verily Magazine page, they can see posts that their friends have liked or shared. Soon, the images and articles spread as news spreads between family members. People remember images more than they remember facts. The old saying still rings true: a picture is worth a thousand words. Through the use of social media, companies can make themselves or their product more memorable. Instagram is becoming more and more prevalent due to its visually appealing marketing. Popular companies who utilize Instagram include: Nike, Adidas, Michael Kors, Louis Viton, Prada, Dior, Gucci would have their products visualized on a daily basis from the comfortable access to a cell phone or computer. The client doesn’t have to search the companies’ particular site in order to view their products. Through the use of social media, a company can place their product in view of a client without the client ever seeking out the product directly. If you keep your company’s product in the sights of your clients, you are more likely to remain in their minds and motivate their desire to purchase. It is vital to understand your targeted audience. Every company has a particular audience that it attracts. There is even a need for dental marketing. Dentists can use the same marketing tools as clothing brands or soda companies by knowing their audience. By having a Facebook, Twitter or Instagram account, a dentist can personalize their business by speaking to its audience on an individual level. This could be through the simple use of visuals, videos, newsletters, etc. to keep clients updated and highlight the most advantageous side of the company. Speak to the toddlers with visuals of a friendly staff and a welcoming environment. Speak to the adults by highlighting inexpensive treatments and “family packs.” Who you are speaking to should always influence how you send the message. There are many known methods of social media marketing. Instagram, Facebook, and Twitter are probably the most well-known. However, there are also other media tools that help keep companies up to speed. Media tools like Moment.me and HashAtlt.com can boost your social media marketing skills and help you create an effective platform. Moment.me alerts brick-and-mortar businesses when there are social media posts about their business within proximity to their location. HashAtlt.com is a hashtag search engine that allows the search of the most popular hashtags on Facebook, Instagram, Pinterest or Twitter. Knowing about these and other tools can make the difference whether or not your social media marketing is effective. Dove is one company that has mastered this strategy. Its strong simple message is to make women feel beautiful, of all shapes and sizes. This is a genius message to be sending to Dove’s audience. It appeals to all women, young and old, and leaves a lasting impression. They have turned their social media presence into a global inspiration. Coca-Cola has also succeeded with strong, simple messages. Their most current campaign, “Open Happiness” has a clear slogan that is easy for everyone to get behind. Most importantly, people will remember how something made them feel. That’s why an effective social media presence requires a succinct message that will have a lasting impact on audiences. Though social media marketing may seem like an easy thing to navigate, there are certain strategies that make the difference between global recognition and struggling to succeed. In social media, what is new is what is most popular. Therefore, companies have a constant need for innovation and creativity. Boost your facebook page! William Morrow - Author - Thanks for this great article!